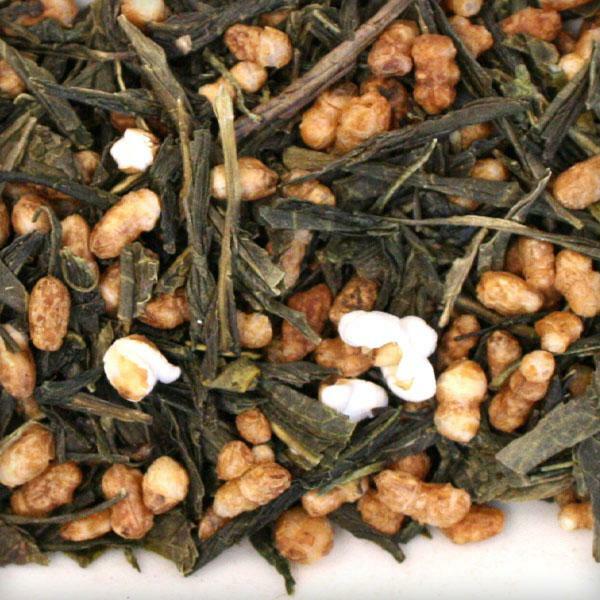 Sometimes known as "popcorn tea," this classic Japanese blend of sencha green tea with unhusked rice is quickly wok-fired, "popping" some of the rice. Smooth and nutty in flavour. Perfect with any meal.